Quick Comparison - The GR 64.7 Series cup diameter is somewhat similar to a conventional 13 diameter. The rim is slightly wider than the standard GR rim, and features a semi - flat contour. It has a slightly more cushioned feel than Standard but with a bite that allows for precise articulations. 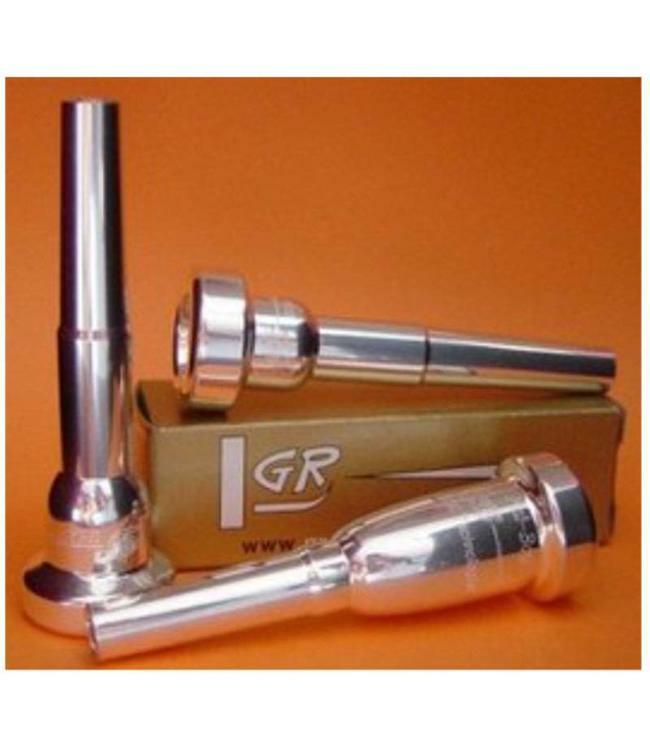 Originally a custom job for Johnny Trudell, these mouthpieces quickly became so popular that GR decided to add them to the line.